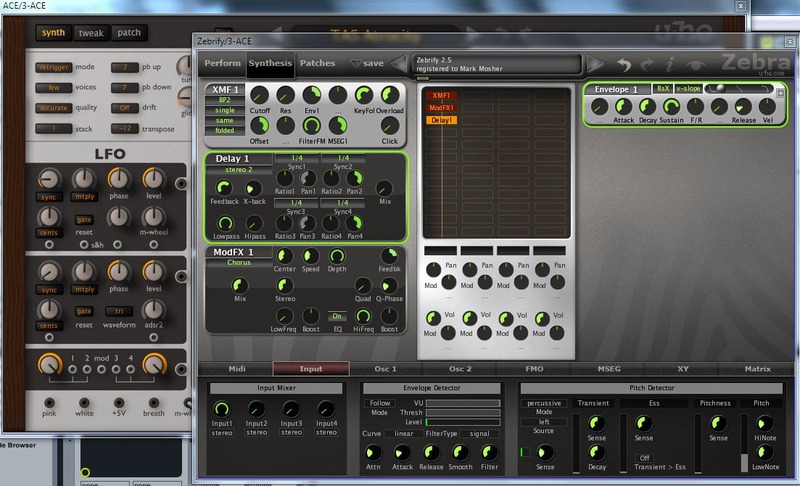 New effect plugin Zebrify that allows you to use Zebra 2.5 effects on any synth. In the picture above (click to enlarge) I’m using it to add effects to U-HE ACE but it would work with any device. I love the idea of mixing FX from one synth with sound sources from another. Bottom line, the new features take an already fantastic and classic synth and improve it allow for even more sonic possibilities. I’m currently exploring the new XMF Filter module which is quite fantastic. Checkout this video overview from Urs.